What is the role of internal client experiences in creating extraordinary external client experiences (CX)? Customer experience seems to be on everyone’s mind these days. Paying lip service and talking the talk is different than consistently walking the walk. With all the attention focused on acquiring and retaining customers, often the unsung heroes and heroines of this quest are located internally, within the organization. The impact of the quality of their experiences – as internal customers – is key in executing CX strategy to external customers. Are internal client experiences integrated and cross-functional? Or are internal teams still operating in departmental silos, each having its own set of mutually-exclusive KPIs? Otherwise, everyone becomes very busy, working full-time, on externally-focused, disconnected CX initiatives. At the end of the day, internal assets perform at half the capacity of what is possible. 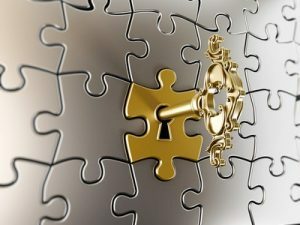 When everyone has a different key for connecting CX puzzle pieces, what is the impact of separated tactical execution on organizational productivity and the overall profitability of customer experience? The difference between good and great external client experiences reflects the depth of interaction, service and interoperability between the internal teams serving them. Although enterprises such as the Disney Institute excel at delivering on this CX model, most organizations avoid undertaking this model. Why? Because organizations wrestle with leveraging and integrating the two variables impacting how external client experiences reflect internal cultural experiences. First, companies remain reluctant to clean up their cultures. I’m not talking about an “out with the old, in with the new” thorough house cleaning, either. Small cultural changes, when done well, have big impacts on organizational health. And how cultural well-being is reflected in delivery of extraordinary customer experiences. Gazing externally, rather than taking a 360-degree look internally, is more organizationally gratifying. However, focusing internally uncovers not only what can be done better within an organization. Also, organizations uncover internal employee innovators who become intrapreneurs, catalyzing innovative product and process improvement. Next, it is easier for organizations to act based on a single aggregate CX score. Not only that. Leaders and managers interpret external customer experience scores as the barometer of whether internal customer experiences are great, as well. As long as that CX score is solid, why rock the boat? When company leadership engages in external customer experience score-chasing, they can become complacent. Why do the work? And ask internal customers about their experiences in executing CX strategy for external clients? Yet, how can organizations understand the root causes behind the few outlier scores contributing to the overall measurement, if voice of internal customers is not gleaned? Customers continue to anticipate delivery of products and services which become better and better over the duration of that customer’s relationship with the organization. Companies targeting greater productivity and profitability connect the voices of external customer experiences to the voices of internal customer experiences. Otherwise, organizations run the risk of becoming predictable to customers. Rather than providing a compelling reason for continuing to do business with them. That gap in internal collaboration easily becomes the single key to customer churn. Isn’t it time to move one millimeter beyond your customer experience comfort level? And discover what is possible, productive and profitable? Click here and let’s get started.